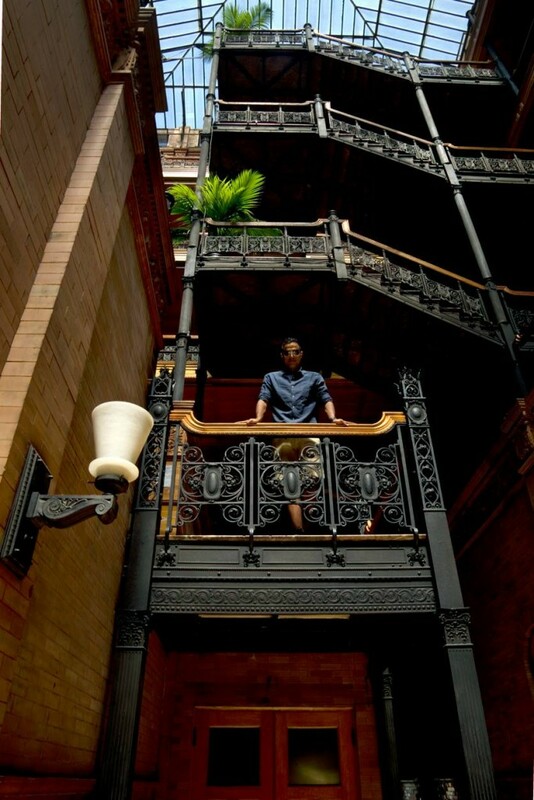 It was a building inspired by a vision of the 21st century depicted in an 1888 novel. Then 94 years later was depicted in a film vision of the 21st century. The street view doesn’t quite reveal the characteristics of a future vision. 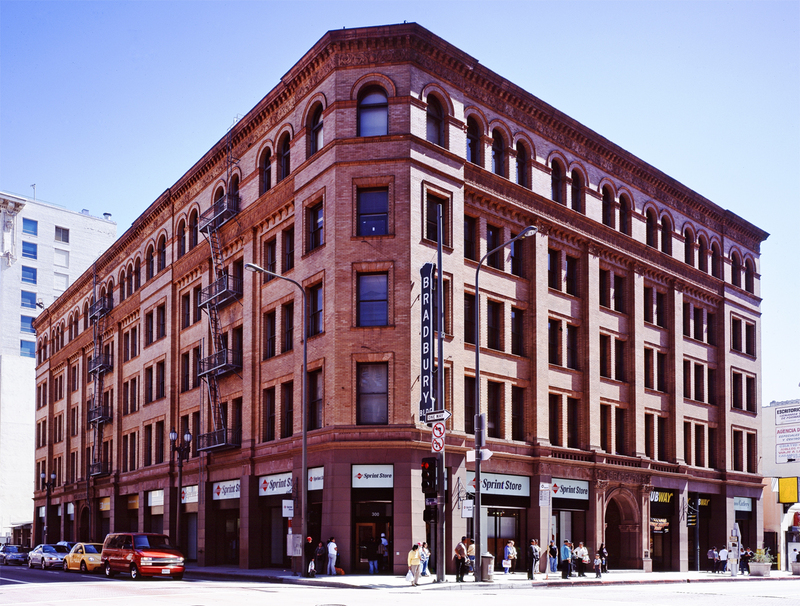 The building’s facade is clearly an Italian Rennaissance Revial, Romanesque Revival design of its time (1894). You might walk by without ever knowing what lies beyond the arched entry. But the inside – that’s another story. It was the shared dream of two men. 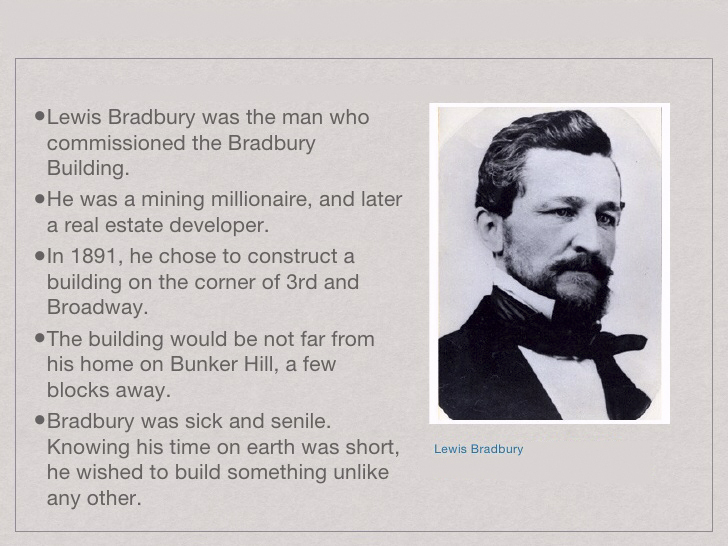 Lewis Bradbury who had a specific philosophy and ideas of what he wanted built.Â And the young man whom Bradbury met – they shared that philosophy and those ideas. 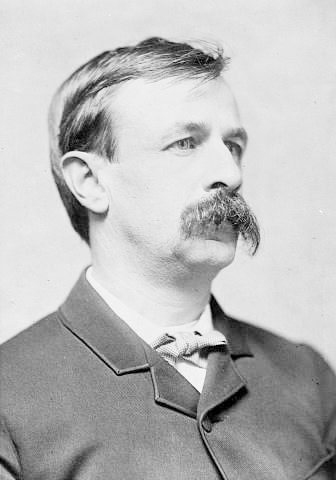 He was George Herbert Wyman – who wasn’t even an architect, but draftsman by trade.Â Their common vision stemmed from a futuristic novel called Looking Backward 1887 – 2000 by George Herbert Wyman. 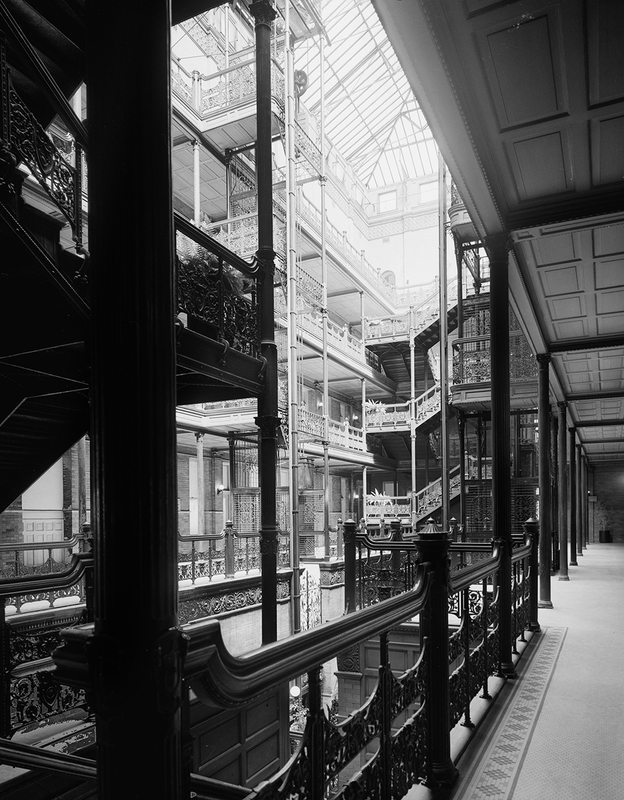 Bellamy’s futuristic structures in Looking Backward were described as “vast halls filled with light.” The Bradbury building has a glass roof which baths the entire central portion of the interior in daylight. 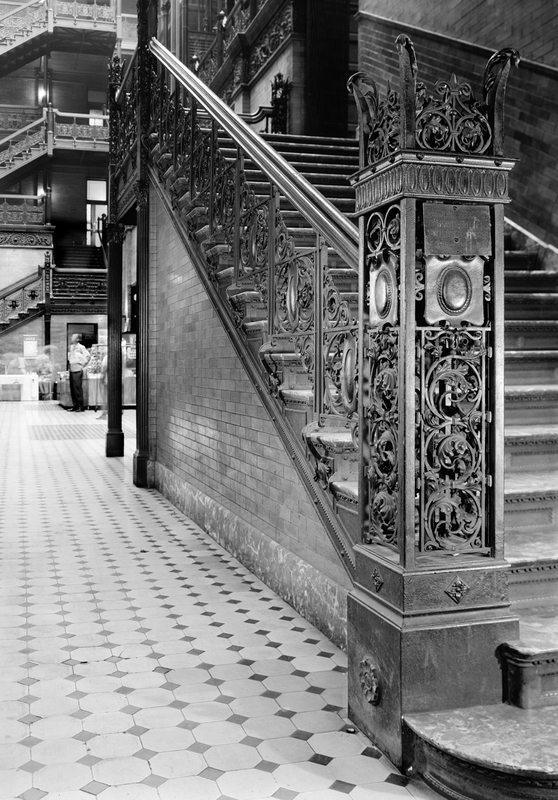 The railings, balconies and supporting columns are made of iron. The resulting effect is a suspended, floating illusion of interior elements. It stands as one of the most distinctive and remarkable interiors of any office building ever constructed. 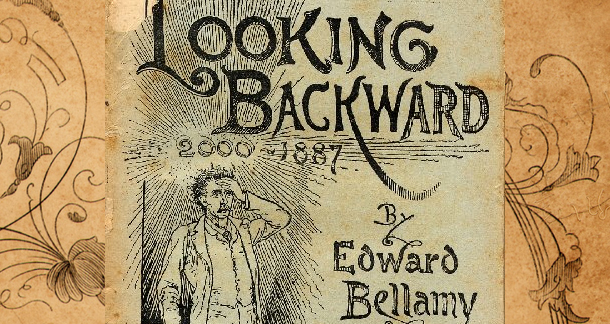 The Bradbury interiors inspired by a Utiopian future depicted in Looking Backward by Edward Belamy. 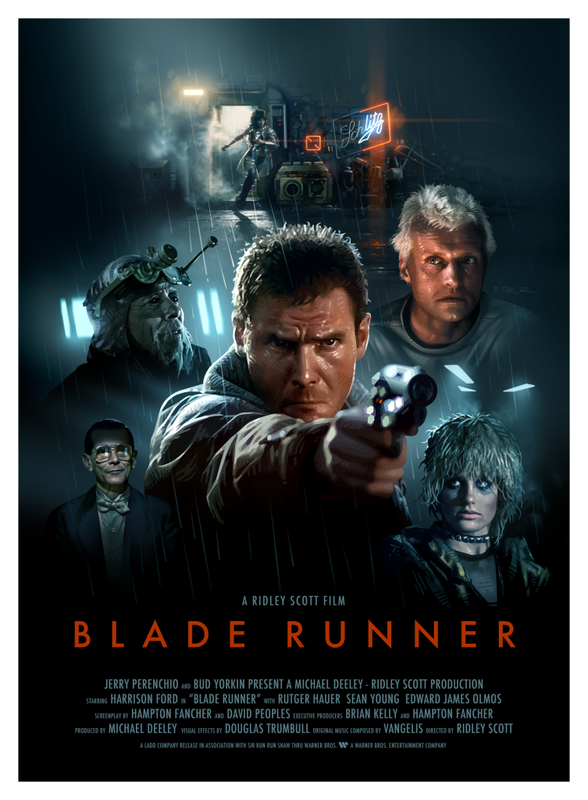 It is a curious twist in the history of the building that 94 years later it again would be part of another science fiction spin of the 21st Century – the 1982 film The Blade Runner. 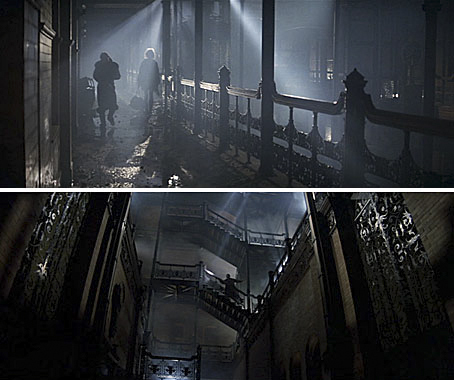 The building not only attracted the producers of Blade Runner. 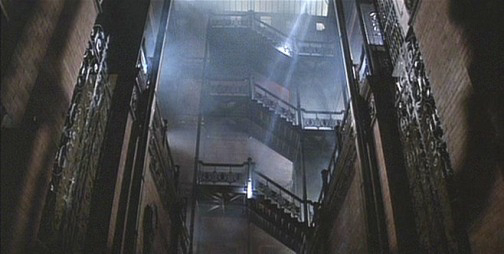 There have been dozens of other Film, Television, and Commercial productions that have used the Bradbury Building as a set. 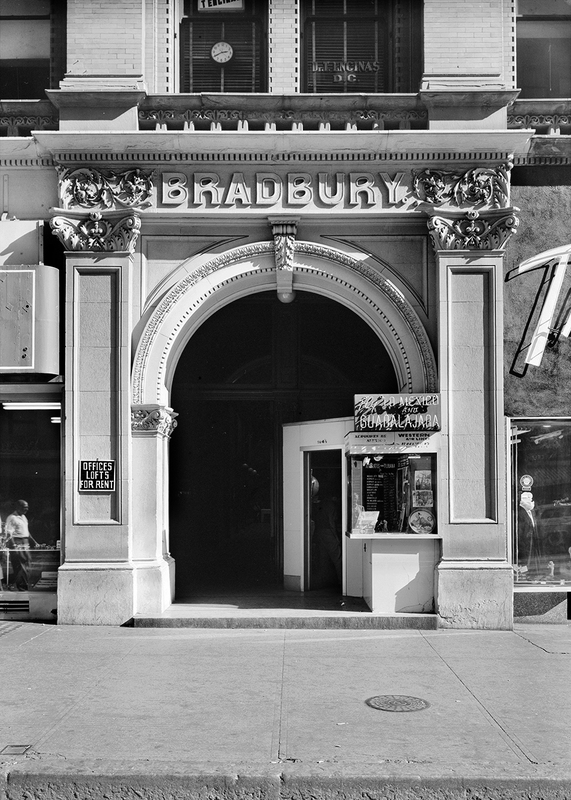 Louis Bradbury died before his building was complete. His dedication to creating his lasting legacy notwithstanding, even he likely wouldn’t dare imagine how the building would continue to inspire and fascinate well into the 21st century.